Doesn't this look like it's begging to be read in February? I read this for the first time in April of 2010. The lovely and super encouraging Renee of Black 'n Gold Girl's Book Spot hosted the author, Cerella Sechrist, for her blogoversary that year, which is how I won a copy of the book. Definitely a sweet treat! 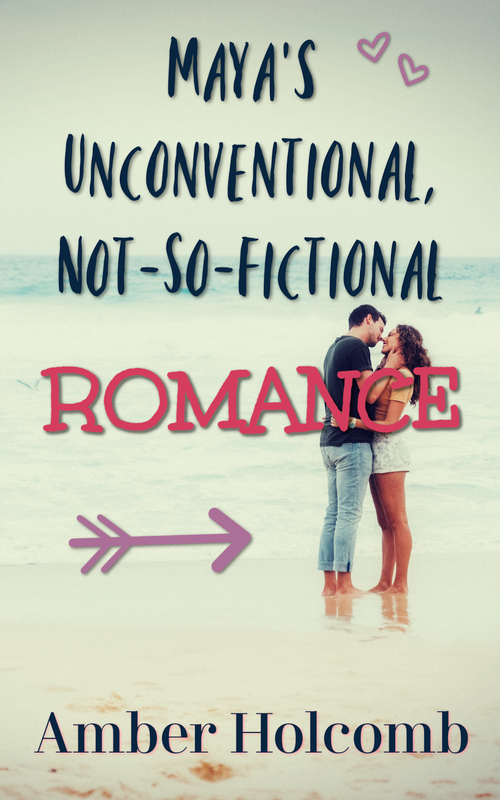 The personalities of these characters and their transparency are awesome, and I loved the feeling of re-visiting old friends and watching them find their happily-ever-afters all over again. 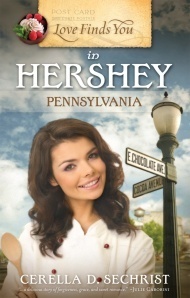 And the descriptions of the town of Hershey, the food, Sadie's restaurant, etc., rounded out the experience. Such a great read (and re-read)! So, what have you re-read lately? If you're signed up for the challenge, I'd love to hear about your progress or your future re-reading plans! If you're not yet signed up, it's not too late to join us! 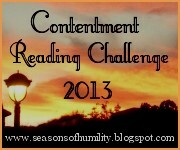 Click HERE to learn more about the Contentment Reading Challenge. The winter season is often about waiting, isn't it? Waiting for spring. Waiting for sunshine and better weather. Waiting for summer break, vacation time, flowers, planting season, safer traveling conditions, and on and on. So what is there to do in the winter? A season of waiting, a season of cold and loneliness, has its place. I watched Seven Brides for Seven Brothers yesterday, a musical that a dear friend of mine helped me to fall in love with in recent years. (Spoilers to follow - you have been warned!) Those seven brothers - led by the eldest, Adam - make a foolish decision in the winter season, leaving seven women to pass the long winter months in the farm house, six men to huddle in the barn, and one man to head to the hunting cabin, alone. It is a cold, lonely season for them all. And yet, it is not a wasted season. The brothers do the right thing by respecting the women (with the help of Adam's wife, Milly, telling them to go sleep in the barn, LOL!). Milly doesn't have to endure her first pregnancy alone. The six younger brothers and their ladies get time to know one another and fall in love. There is time for healing, for forgiveness, and for hope to blossom. "A time to rend, and a time to sew; a time to keep silence, and a time to speak." Pride carried Adam to the hunting cabin - and Milly knew she had to let him go, to "rend" their togetherness, for a while. Pride kept Adam there for the whole long winter, but after his and Milly's baby was born, the youngest brother (Gideon) knew that it was time for him to speak, to tell his brother that he was ashamed of how he was acting. The winter season was hard for them all, but a time "to sew" everything together would come. In the meantime, separation increased the desire to see beyond pride and to work things out. The groups sang of their hopes and dreams, building strong bonds of friendship in their shared frustrations and longings. And Gideon found a voice. So, in our own winter seasons, may we be able to accept the purpose for the time, and trust that God does have a purpose, even when we don't understand it. May we sing and dance, sharing our hearts with God and with one another, and finding something beautiful in the harshness. And may we find our voices - whatever God might be calling us to do in a time of seeming "waiting." "Scarlett Blaine’s life in 1960s Georgia isn’t always easy, especially given her parents’ financial struggles and the fights surrounding her sister Juli’s hippie lifestyle. Then there’s her brother, Cliff. While Scarlett loves him more than anything, there’s no denying his unique behavior leaves Cliff misunderstood and left out. So when he wishes for a rocket to Jupiter, Scarlett agrees to make it happen, no matter how crazy the idea might be. Raising the rocket money means baking pies, and the farmer’s son, Frank, agrees to provide the peaches if Scarlett will help him talk to Juli. The problem is, Scarlett really enjoys her time with Frank, and finds herself wondering if, someday, they could be more than friends. Just as she thinks everything might be going her way, Cliff suffers an accident that not only affects the rocket plans, but shakes Scarlett’s view of God. As the summer comes to an end, Scarlett must find a way to regain what she’s lost, but also fulfill a promise to launch her brother’s dream." With a heartfelt and heartbreaking look at family, Coker's sophomore novel impressed me even more than her debut release, Interrupted. The setting and plot are unique, the characters' quirks are engaging, and the true-to-life issues are shared in interesting, not-so-common ways. Scarlett is a heroine whom I often felt I could relate to, with her heart for her family, her uncertainties regarding love, and her struggles with impatience and selfishness. Her story and her growth are enjoyable to watch unfold. Frank, on the other hand, shares a similar "puppy dog" quality with the hero of Interrupted, although I think I do like him better than Sam. His immaturity frustrates me, and his character doesn't really stand out in comparison to some of the other characters who are given more depth (like Grandpop Barley, whose character touched my heart and made it break). However, he is sweet, and his character allows for a bit of romance, which I always enjoy in a book! I was a bit surprised by how the title of the book and Cliff's (Scarlett's brother's) birthday wish were brought together for the conclusion. Initially, it's hard to imagine how everything could work out... But somehow it does work (although I confess that I'm disappointed by some actions/attitudes that led to a certain horrible event). I am slightly bothered by the focus on the heroine that leaves other characters' stories feeling rather unresolved, but I understand that the reader is limited to Scarlett's perspective because this is supposed to be her story. I guess I just wanted a little more about the whole family in the "epilogue" (of sorts). All in all, Chasing Jupiter is a story about understanding, sacrifice, tragedies, and hope. It's a story about family, with all of its related fears and fights, as well as its strong bond. A moving read! This experience has been such a blessing - Rachelle's enthusiasm is contagious, her humility is admirable, and her feedback has been a help and encouragement to me. My job editing her manuscript was made much easier by the fact that her story already sparkled with a beautiful style and fascinating research. It's been a pleasure reading her work and sharing my thoughts on it! I think this blog has been a bit unbalanced lately... I do so love book reviewing and talking about books, but it might be time to bring in another type of post! 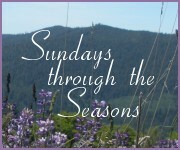 Last year I decided to start a new devotional series called "Sundays through the Seasons" to replace the "Sundays by the Sea" posts. Unfortunately, I only wrote two posts before getting distracted by other things. So I'm going to try bringing those posts back - I hope they encourage you! 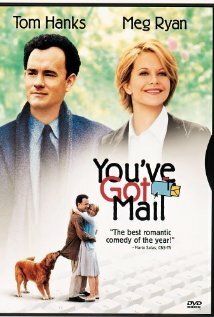 My family and I watched You've Got Mail the other night - a fitting movie for Valentine's week and the hope of spring. I love how the seasons are so prominent in the movie: from the beginning with the "bouquet of sharpened pencils" reference celebrating New York in the fall, to the Christmas festivities, and the lovely ending full of the sunny days and blooming flowers of spring. The Shop Around the Corner, the heroine's children's bookstore, gets re-decorated for each new holiday/season (reminds me of our house - my mom really enjoys decorating!). It so beautifully mirrors the changes in Kathleen Kelly and Joe Fox's relationship, as well as the loss and renewal of Kathleen's dreams for her life. The symbolism of the seasons is full of hope. Circumstances won't stay the same. We won't stay the same. We can grow and learn and see things come to pass that we would never have dreamed for ourselves - but that eventually lead to greater blessings than we could ever have imagined. The Director of College Ministries at our church shared a sermon this morning on the book of Haggai, emphasizing over and over again the idea that we need to "read to the end of the book." Many times in Scripture situations look bleak or tragic or hopeless, but they don't last forever. Our college director noted that he loves to open up to a place in Scripture and just start teaching from there - but then he wondered about books like Jeremiah. He said that there are spots where it would be really hard to share an "encouraging word." He realized, however, that if he just kept reading long enough, there would always be something encouraging to share. When we "read to the end of the book" (or "watch to the end of the movie," in this case) for You've Got Mail, we see that it all turns out so beautifully and poignantly. But it takes some time in the fall and the winter before the spring can come about the way that it does. There are lots of questions: Why did they have to be rivals? Why did Kathleen have to experience such sorrow because of Joe? Why did things have to change? But aren't we glad that things did change, in the end? And aren't we glad at that last scene for all that they had been through together? The steps of a good man are ordered by the Lord: and he delighteth in his way. Though he fall, he shall not be utterly cast down: for the Lord upholdeth him with his hand." Whatever season you're currently in, if you are following God, "you've got hope." May the upcoming transition between winter and spring remind you of that hope that you have! I enjoyed a couple of really delectable treats this past week, both of which have a French flair, and I'm pleased to share my "snack size" thoughts on them today! Want to hear something extra sweet? One of them (Piece de Resistance) is only $.99 for Kindle (as well as the previous book in the series, Bon Appetit), while the first book in that series (Let Them Eat Cake) is FREE for Kindle! (The special deal lasts through Thursday.) A delicious way to celebrate Valentine's Day, no? I jumped from the first book to this third book in the "French Twist" series - paperback copies, because those covers are just too sweet! - with relative ease, although I'm sure reading all three adds that much more enjoyment to the reading experience. This conclusion is certainly satisfying, and it's a pleasure to join Lexi as she discovers how best to serve others and how to reconcile her big dreams with God's grand plans. For a step-by-step look at a slice of a twenty-something young woman's life - full of troubles and creative marketing schemes and recipes - Piece de Resistance is a real treat. The cover really captures the feel of this book - the wind rustling through Scarlet's cape (or hoodie, as the case may be) and the book's pages as the characters and reader sprint through the story. The plot is full of exciting escapes and escapades, with a great balance of action and interesting characterization. Love the sacrificial love and the hint of Beauty & the Beast mixed in with the Little Red Riding Hood fairy-tale twists. A great addition to the "Lunar Chronicles" series that builds off of Cinder and makes the wait for Cress and Winter quite challenging. Note that there is some disturbing content - this sequel is much more violent than Cinder. I have some exciting news today! 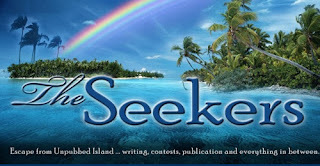 I'm sure a lot of you writers/bloggers out there are already familiar with the lovely island retreat (blog) for writers known as Seekerville. (Do check out the link if you haven't had the opportunity to visit there yet!) Well, I'm thrilled to tell you that I'm going to be a guest there tomorrow (Friday)! Author Julie Lessman was sweet enough to give me the chance to write a guest post, and I'm really excited about the opportunity to share a little about this early season of my business venture and to offer some tips and encouragement for writers and small-business owners alike. I'd love to have you stop by! Be looking for "5 Tips for Spreading the Word and Surviving in the Online World" to be posted at the Seekerville blog around 9:00 pm PST (12:00 am EST) tonight (Thursday night). And as an added incentive to drop by and say "hi," I'm offering a $10 Amazon.com gift card to one random commenter! =) Hope to see you there! In other news, I had my behind-the-wheel driving test yesterday! For those of you who have been keeping up with my Driving Diary (which only has a few entries...), you might be thinking, "Finally!" After having a permit for almost 2 years (renewed once), I finally took the plunge and made the appointment. And... *drum roll* I passed the test!! I am now licensed to drive, so consider yourself warned! ;) Huge thanks to all of you who have followed my progress and offered encouragement! I appreciated the chance to read your stories and to know I was not alone in my nervousness. Thank you for sharing the journey with me! Of course, the journey isn't over - this is only a new chapter in my "driving diary." Driving is definitely something that can help keep me humble! I still have so very much to learn and more confidence to gain. I'm still making mistakes... But through God's grace I've made it this far, and I feel very relieved and blessed to have the driving test behind me! What exciting things have been going on in your life? "Gideon O’Riley has two wives—but he doesn’t know it. Lonnie only wanted her husband’s love. Now that he belongs to another, can she surrender Gideon to a God with a bigger plan?" 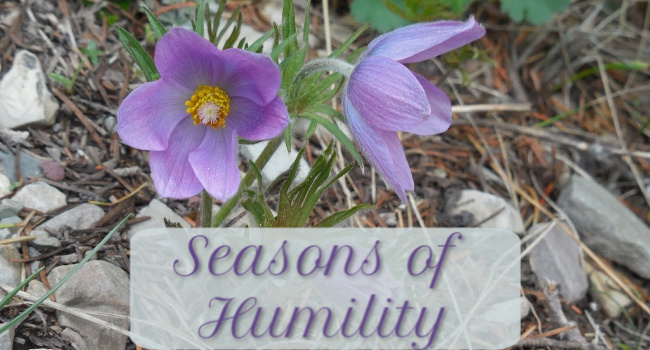 "The Cadence of Grace" series continues with more of its beautiful but isolated setting, and even more relational hardships, in Though My Heart is Torn. 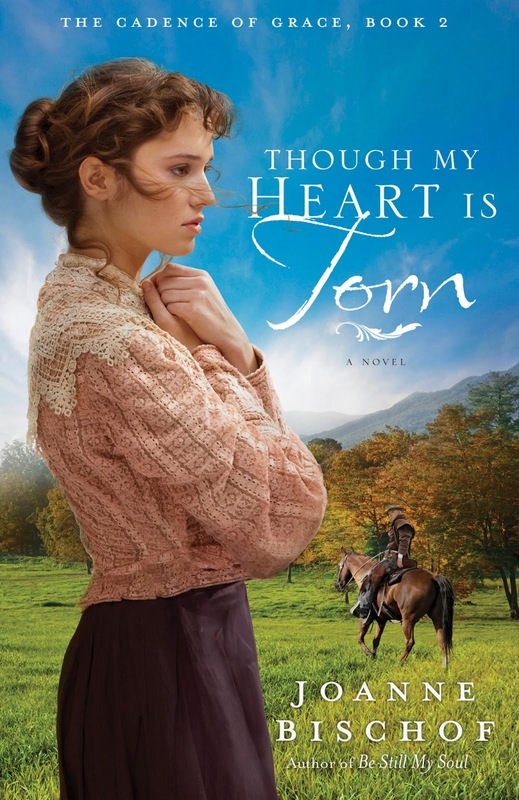 The title is certainly apt, as my heart was torn for various reasons over and over again as I read this sequel to Gideon and Lonnie's story (begun in Be Still My Soul). Bischof sets the scenes with simple, yet simply lovely, descriptions of the mountains and the weather and the characters' homes. But as rough as each of those might be in turn, the truly rugged nature of this book comes in its main focus - the drama of secrets unfolding and desires being denied. For some, this story might be a little much. Hope is scattered amid the anger and the sorrow and the loss and the heartache, but it is often overwhelmed by the latter feelings. There are many poignant scenes, yet I think the volume of them at times keeps the pace rather slow and the mind too shocked to let everything sink into the heart. What Gideon and Lonnie (and others!) go through is utterly frustrating and painful, and I was surprised that I didn't cry more, because I definitely felt like I ought to! (It might just have been my mood, though!) At one reunion scene I did shed a tear - the secondary characters are, in general, wonderfully depicted, and that scene involving one of them touched my heart. Even though the way this story is rounded out defines this as the middle book in the series, with another installment to follow, I still was blessed by the way the characters are given such depth. I love the understanding and the compassion Bischof's stories foster, despite the emotional whirlwind the reader has to endure! When all is said and done, at the conclusion of Though My Heart is Torn I was left with curiosity and a big sense of trepidation at how this story will continue. I'm concerned for the characters, and my heart is torn between the possibilities. If you loved Be Still My Soul or if you are touched by the perseverance and faith of well-drawn characters through trials, consider trying out this sequel. But be prepared to endure distressing situations and the wait for the third book! Note: This book will be released April 2, 2013. Earlier this week I shared a couple of snack size reviews featuring a fairy tale and including one of my Christmas gifts. Today I bring you a snack size review of another "fairy tale," which also happens to have been given to me for Christmas! Enjoy the morsel, and do share your thoughts if you've read it, as well! 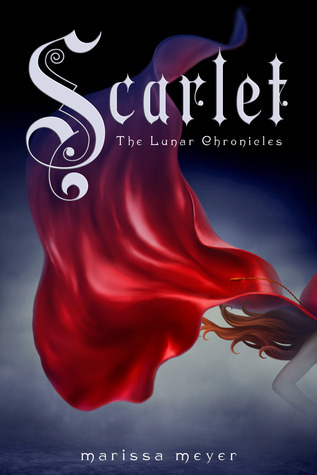 A very creative and intense beginning to the "Lunar Chronicles" series that left me very glad I pre-ordered Scarlet (the sequel)! 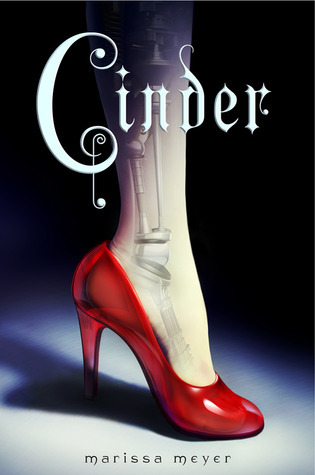 While there is plenty of action in this futuristic twist on "Cinderella," the focus is mainly on Cinder's self-discoveries and the dawning awareness of impending danger and epic adventure. The background is fascinating and tragic. Prince Kai is utterly endearing in his uncertainties and internal struggles. The story is a little unsatisfying on its own, but I'm impressed and intrigued by the concept of the series.